Two of the most quintessentially British delicacies are finally coming together in a collaboration which seems long overdue. That’s right, the synergy of a full English breakfast and the much-loved Yorkshire pudding has finally been concocted. A cafe in Manchester is now selling the mother of all fry-ups by putting a full plate of eggs, bacon, tomatoes, mushrooms, baked beans and hash browns in a giant Yorkshire pudding. Wow, just imagine all those clogged up arteries. Really ?????? all day breakfast Yorkshire pudding ??? 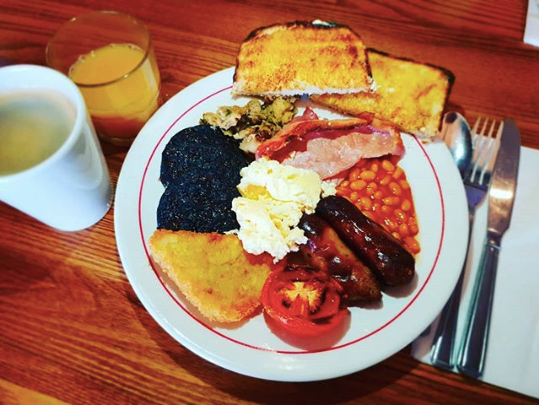 I’ll be honest, nothing beats a good fry-up in the morning – especially after a wild one the night before, it’s the perfect cure for a hangover. On the flipside – at the risk of reigniting the North vs South wars – it’s my personal opinion Yorkshire puddings are a tad overrated. I’ve only ever had one Yorkshire pudding in my life so far and let’s just say it was severely underwhelming. I once described it as a glorified potato, much to the horror of one of my editors, who’s a proud Yorkshireman. It’s my pure East London roots, I can’t help it. However, the Porky Pig cafe on Cooper Street, in Manchester may just change my mind. They specialise in carvery meats as well as sandwiches and fry-ups. According to the Manchester Evening News, they’re the geniuses behind the full English Yorkshire pudding. During last year’s Christmas market, their Yorkshire pudding wraps sold like hotcakes and caused massive queues outside their stalls. Their latest concoction features beans, mushrooms, bacon, grilled tomato, sausage, a fried egg and a hash brown, all served inside a giant Yorkshire pudding. The best part is, you get your value for money as it only costs £5.50! What more could you ask for? The response has been mental. I don’t want to see another sausage ever again. If that isn’t enough to placate your desire for a full English, maybe Morrisons’ Big Daddy Breakfast will appease that stomach of yours. 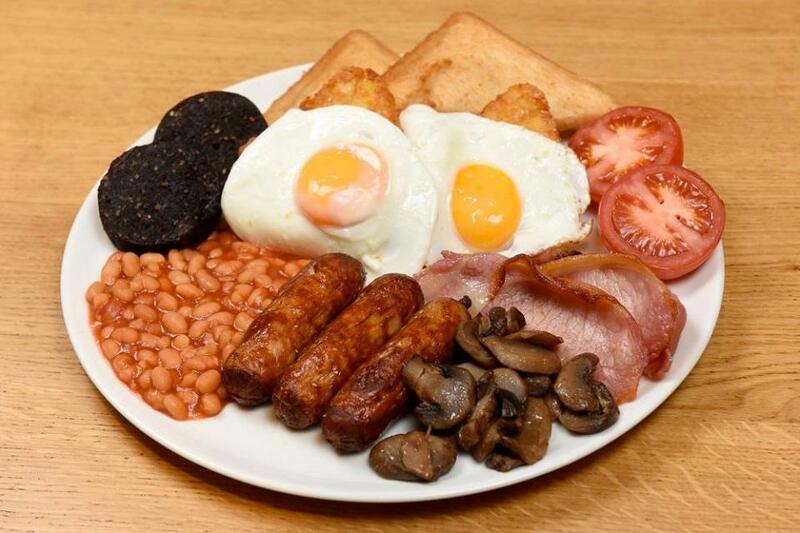 Launched in May this year, the mega 19 piece breakfast includes three rashers of bacon, three sausages, three hash browns, two half slices of fried bread, two fried eggs, two half tomatoes, two black puddings, baked beans and mushrooms.